"Infinity" - who does not remember this goose bump awarding 80's cult hit by Guru Josh with the most famous saxophone sample of all time? Of course there are lots of cover versions, but few can match well with the Original. Here is not a copy, it's an absolute original! Darren Bailie is the man behind "Guru Josh Project" bringing Infinity 2008 to the world and it selling Platinum, and now he returns with his new project, "JDakk & French" back to repeat history! With the Klaas remix of Infinity 2008 on labels such as EMI and Ultra Records, this became a global #1 and in 2012. 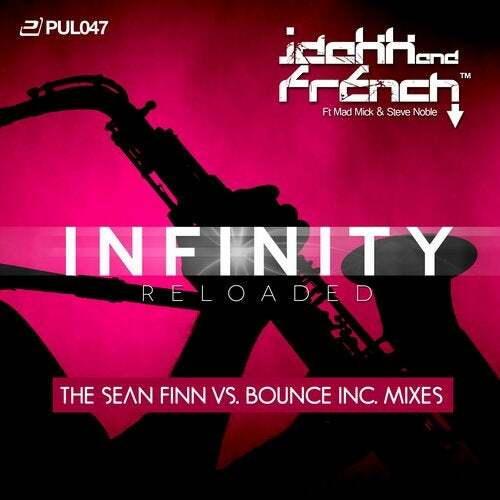 DJ Antione released his version; but now that it's 2015, the time has come for Sean Finn – one of the hottest Producers & DJ's ever - together with Bounce Inc. His work is simply in a different league; with many #1 rankings in various charts worldwide and having won last year's award for best dance act – the credits speak for themselves. Additionally this astonishing release contains remixes by Australian hero Dimatik, Olly James (brand new signing on Hardwell's label Revealed Recordings) plus a nice deep house interpretation by Mann & Meer. In the UK, these new versions are already being supported vigorously from the main club DJ's and on the radio. Because of this hype, labels such as Ministry of Sound, Universal etc have become interested and with more mixes and a video already in production, get ready for the reload of the year! "PULSIVE – It's all about the music!"